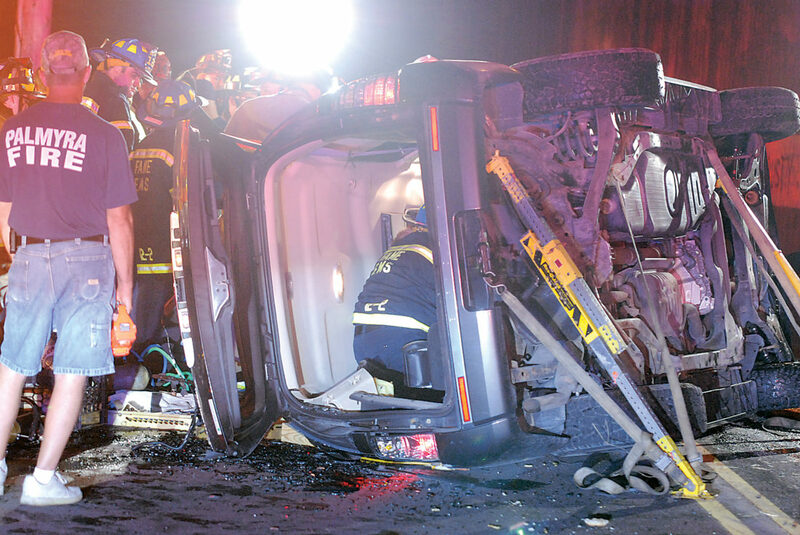 EMS and fire crews work to extract a driver from an overturned vehicle Friday night on Mill Road in Lewistown. The accident occurred shortly after 8:30 p.m. One man was extricated from the vehicle. Further information was not available as of press time Friday.